Landlocked Ethiopia is planning to build a navy, Prime Minister Abiy Ahmed said during a briefing of the heads of the country’s National Defense Force. Two calls to the mobile phone of Abiy’s national security adviser, Abadula Gemada, didn’t connect. Ethiopia currently has a civilian Ethiopian Maritime Training Institute on Lake Tana. It trains more than 500 marine engineers and electro-technical officers each year and plans to increase this to more than 1,000 officers annually, according to its website. 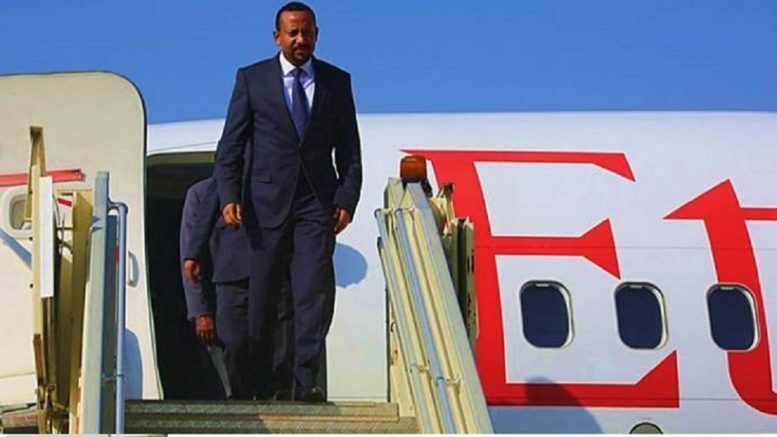 Abiy’s government in May agreed to develop Port Sudan on the Red Sea and agreed with Djibouti to swap shares in state-owned ports, airlines, and telecommunications. It also agreed to acquire land at Kenya’s Lamu Port for “logistical facilitation,” according to a joint communiqué issued after a meeting between Abiy and Kenyan president Uhuru Kenyatta. Earlier this year, Ethiopia took a stake in a port in Somaliland, a semi-autonomous part of Somalia that aspires to statehood and borders Djibouti. Somaliland will host a naval base for the United Arab Emirates.